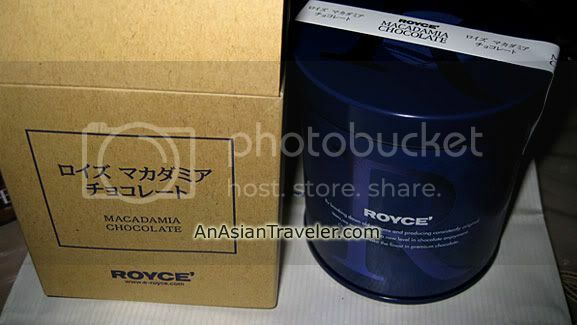 I first got a taste of Royce chocolate a few years back from a friend of HB. It was love at first bite. A few months back I was craving for it. So, to satiate my sweet tooth, I requested HB to buy some at Greenbelt 5. Here are some of the Royce chocolates I tried. They have five kinds of Nama chocolate - Au Lait, White, Champagne, Bitter and Mild Cacao. 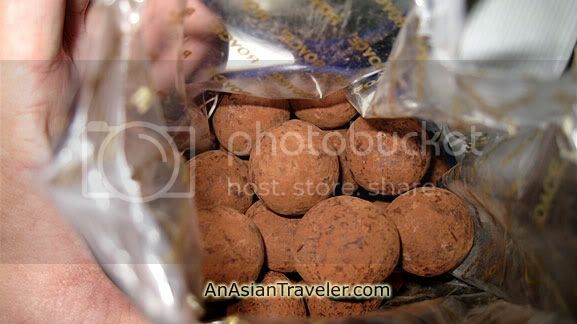 I feel in love with Orange Petit Truffle chocolate (Php 450.00)♥♥♥ as well. It's a chocolate with orange liqueur and bitter orange peel delicately intertwined and powdered with cocoa. It tastes really good! 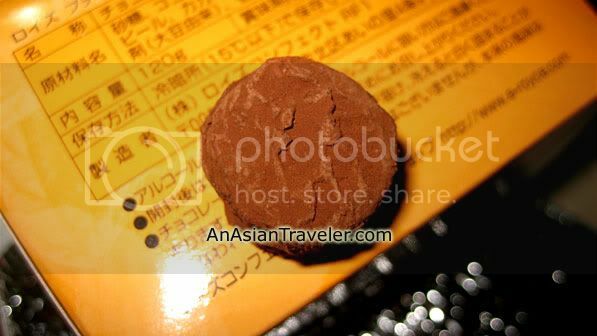 Macadamia Chocolate (Php 690.00): It's an aromatic macadamia nuts wrapped in chocolate and topped with cocoa powder. Chocolate Wafers (Php 540.00): Crunchy chocolate wafers with hazelnut cream and premium chocolate coating. This best selling chocolate has been around since 1983 founded in Sapporo, Japan. 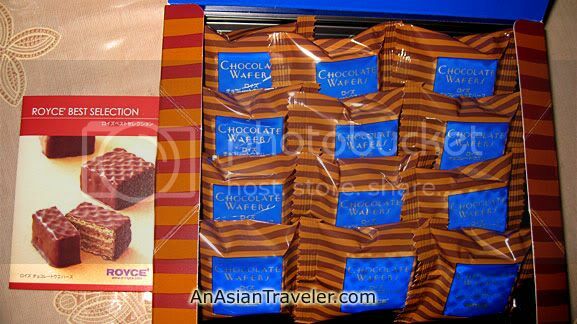 Royce Chocolate has been a favorite treat or as "pasalubong" (present) of most Filipino travelers for years. 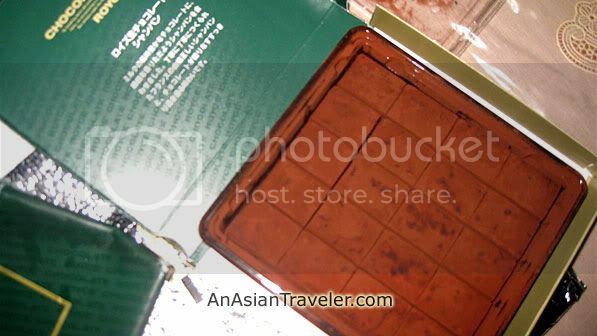 However, there's no need for a trip to Singapore, Hong Kong or Japan to get a fix of this chocolate. Royce' is already available in Manila. Royce is love... I love it!!! I like royce nama. Yummylicious!